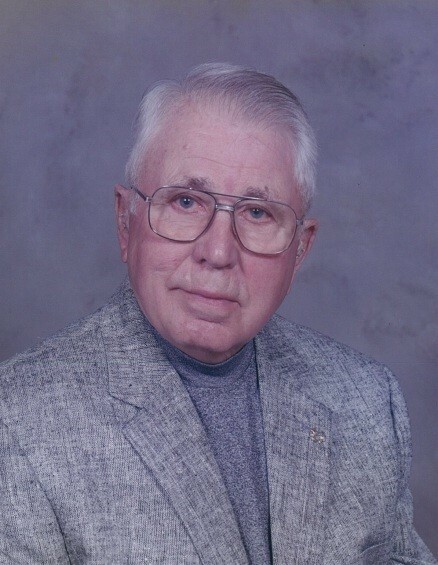 Mr. Linwood E. Colson, 91, of Lake City, passed away peacefully Wednesday morning, January 23, 2019 at his residence after an extended illness. He was born in Jacksonville, Florida on December 22, 1927 to the late Leonard and Naomi Fralick Colson. He lived in Jacksonville until the summer of 1947, then moved to Lake City where he attended and graduated from Columbia High School. He met the love of his life Myrtis and dated her to his first week of their senior year in High school, they then ran off to be married, which was kept a secret until Linwood volunteered to join the US Navy during World War II. He worked for McDuffie’s Sporting Goods for a short time, then went to work for Columbia County; but he ultimately ended up working for the State of Florida in the HRS department as a Regional Administrator for many years. In his spare time, he was an avid outdoorsman and enjoyed fishing and boating. He is preceded in death by his loving wife, Myrtis Colson and daughter, Janet Colson. He is survived by his three sons; Randy Colson (Elena) of Tarpon Springs, FL, Bruce Colson (Laura) of Covington, GA and Alex Colson (Iris) of Lake City. Five grandchildren along with numerous great-grandchildren, extended family members and friends also survive. Funeral services for Mr. Colson will be conducted on Monday, January 28, 2019 at 3:00 P.M. in the 1st Presbyterian Church of Lake City with Rev. Kenneth L. Goodrich, II, officiating. Interment will follow in Hawthorne Cemetery off of Myrtis Road in Lake City. The family will receive friends for visitation at the funeral home on Sunday afternoon, January 27, 2019 from 3:00-5:00 P.M. In lieu of flowers, the family asks that donations please be considered to Haven Hospice, 6037 W Us Highway 90, Lake City, FL 32055.